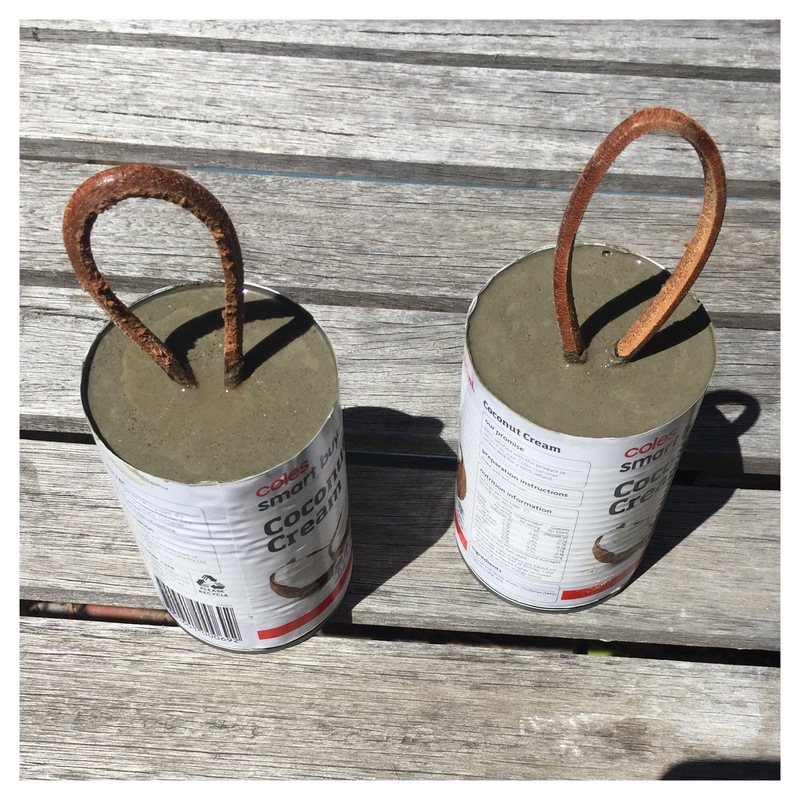 I interrupted my green curry making to use the coconut cream cans to make concrete doorstops … I know. I am ridiculous. Remember those concrete doorstops I pinned last week? Well I had a brainwave on the weekend of making them using tin cans as the molds. And then a further great idea on Monday of repurposing the leather that I got from Sue last year (and made into necklaces which didn’t sell) for the handles of the doorstops. So mid-curry I paused and quickly implemented these ideas. Now I have pots and mess all over the kitchen and concrete in bowls outside. Along with washers and wire and scissors and a variety of spoons and scoopers and plastic containers spread through my studio and the laundry. I need to stop writing this post RIGHT NOW and clean up before I regret it (particularly the concrete).